My mom had adolescent idiopathic scoliosis (AIS), a condition in which the spine curves sideways in a C or an S-shape, sometimes causing the patient’s ribs, hips or shoulders to appear unbalanced. AIS affects 2-4% of teens, most often girls, and develops during the growth spurt between ages 10-14. It’s called “idiopathic” because, despite intensive research, no one knows for sure what causes it: it seems to be the result of complex genetic and developmental factors that are still being identified, and it’s possible that different patients develop similar curves, but for different reasons. Although AIS itself is mysterious, there is now definitive evidence that bracing – a treatment in which patients wear custom-built body braces with pads that hold the spine in place – prevents the curve from progressing to the point that it dangerously compresses the heart, lungs, or other organs. Despite the fact that a form of bracing has been used as therapy for scoliosis for 2000 years, previous studies on its efficacy gave mixed results. This was because researchers had no way to be sure whether patients were wearing their braces, or how much. Many teens who claimed they wore their braces the recommended 22 hours per day had bad results – was this because bracing didn’t work or because the teens took their braces off when no one was around to catch them? The results were so overwhelmingly positive that the trial finished early – bracing stops the progression of scoliosis. And for teens who may have to commit several of the most traumatic years of their lives to this treatment, that knowledge might make it all worthwhile. Previous Post: Spring Break Into Science is Today! What a smart idea to fit the braces with detectors so there was no way to cheat! 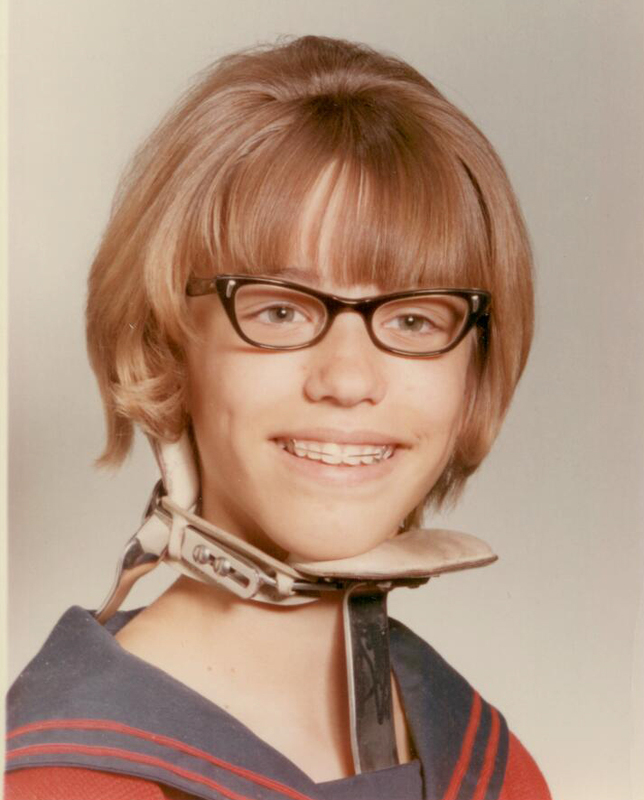 I believe that my aunt wore a brace for scoliosis when she was a kid, and it worked for her. (Although I’m pretty sure she hated it…) I think it’s natural to hate any thing that you have to do for your health that marks you as “different” – even though in the long run, your quality of life will be so much better. Remembering to focus on the result is a good technique that applies to a lot of things, including uncomfortable treatments. And remembering that your personal health and well-being are much more important than whatever you’re worried that people are thinking about you. The right people for you won’t care about a back brace. At that age, anything that makes us stand out from the crowd is especially hard to bear. And as the marshmallow test showed, it’s really hard to stay focused on the ultimate goal when you have an opportunity to make things immediately better. Humans are an instant gratification species, aren’t we? You’re totally right, though. The people that are worth spending time with don’t care about this kind of thing! the milwaukee brace is a good brace. it’s help very good. for adult too. i am looking for a milwaukee for my scheuermann kyphosis. I didn’t know they were used for adults, too – thank you for sharing. I hope the brace helps you. Most obvious question: Have you read Deenie by Judy Blume? My sister and I read it as kids, which is where I found out about scoliosis and the brace described above. Thanks for sharing the story of your mom. It’s a young YA and doesn’t take long to read.